Successfully Added MP3 Gadget Pen Audio Recorder - 1GB Flash Disk Design to your Shopping Cart. MP3 Gadget Pen + Device - 1GB Flash Disk Design. 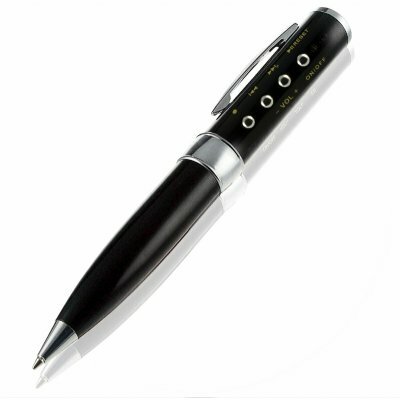 Fully functioning gadget black steel pen direct from the best gadget makers in China, featuring a built in 1 GB MP3 player, plus a built in high quality MIC for record hours of audio for study or for recording of what people are saying. With this handy device, take a nap in class and later write notes using your professor's recorded voice, or maybe making audio recordings of all your friends, or even just shocking people on the bus when you take out your pen and listen to music as you do the crossword. With this wholesale priced item, all this and more is possible. So purchase one of these MP3 pens for yourself and be the first person on your block to own one of the coolest gadgets around.